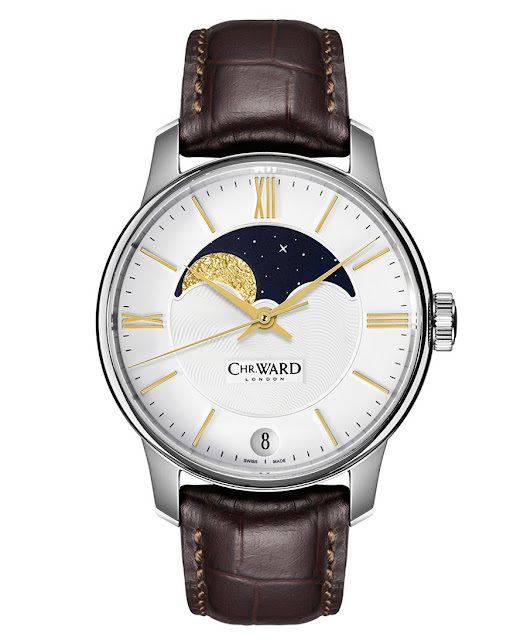 Christopher Ward keeps expanding its product range with its first watch featuring a moon phase complication, the C9 Moonphase. Housed in a 40 mm x 13.3 mm stainless steel case offering water resistance to 5 bar (around 50 metres), the new Calibre JJ04 (JJ from the initials of the master watchmaker of Christopher Ward, Johannes Jahnke) is based on a modified ETA 2836-2 with the integration of two additional gear systems incorporating four wheels to drive the moon disc and a further two wheels for the setting mechanism. 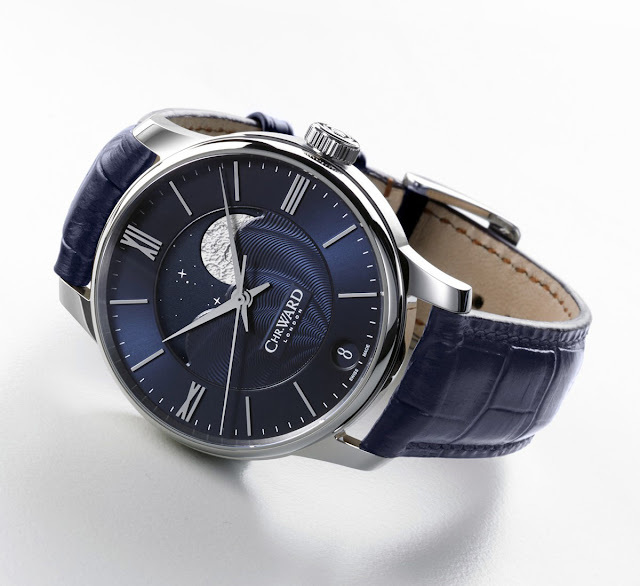 The 4 Hz (28,800 vph) self-winding movement guarantees a power reserve of 38 hours. The movement of the large moon disc is smooth and continuous, in synch with the minutes and hours, making the representation of the moon's phase precise at any particular moment. 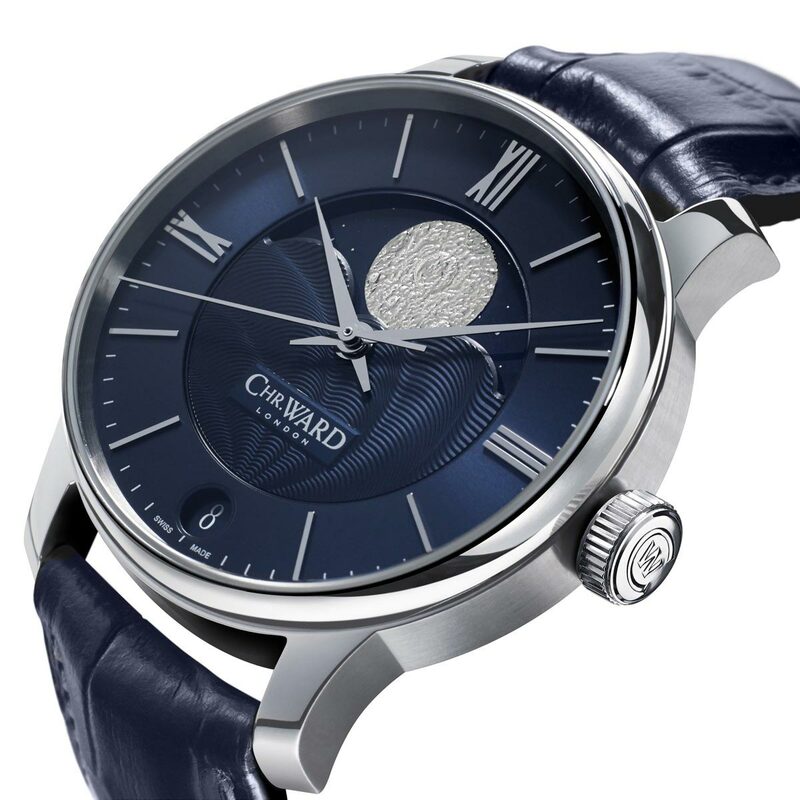 Once correctly set, and assuming that the watch runs continuously, the display would only have to be corrected by one day every 128 years. The moon's surface is 3D stamped and given a semi-matt galvanic finish. 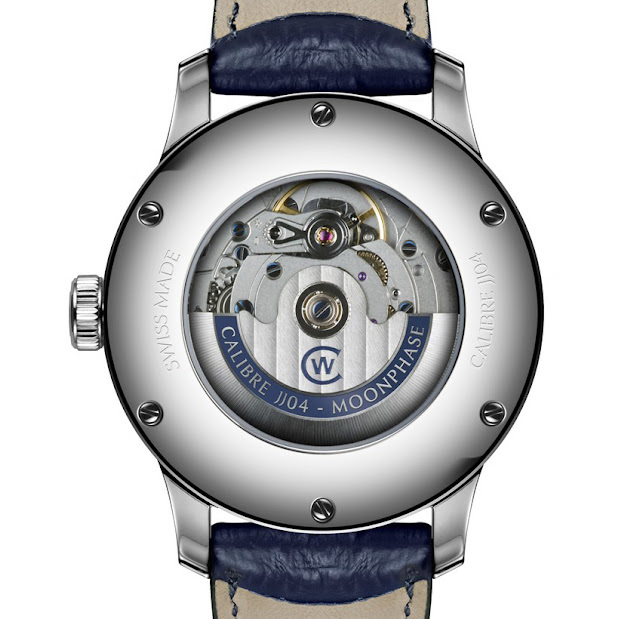 While the upper half of the centre dial is dominated by the moon disc, the lower half is decorated with a guilloché motif somehow reminding the tidal patterns. The one-piece metal dial is available in blue or silver, respectively with nickel or PVD gold finish hands and indexes. 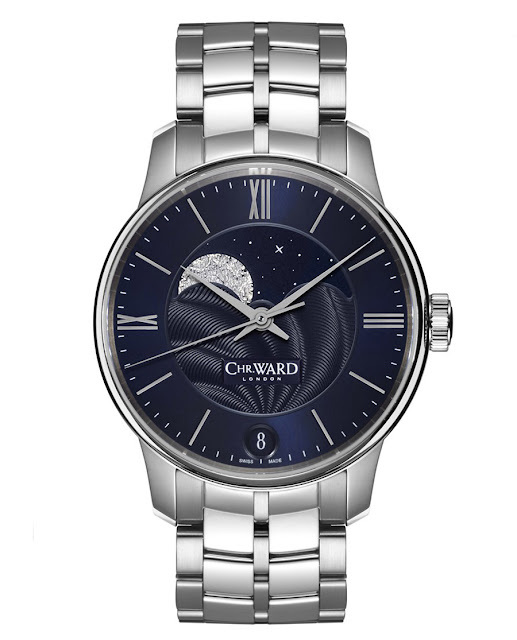 Christopher Ward C9 Moonphase. Christopher Ward keeps expanding its product range with its first watch featuring a moon phase complication, the C9 Moonphase. 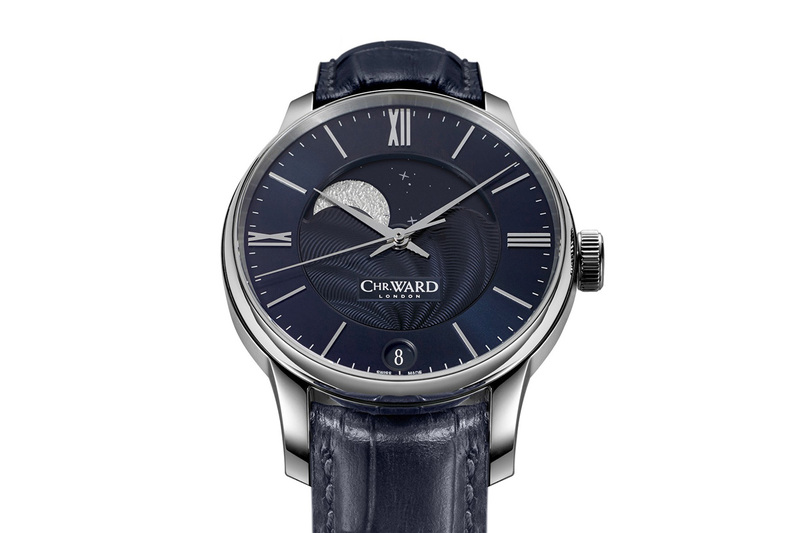 The Christopher Ward C9 Moonphase can be matched to a Louisiana alligator strap with deployment clasp or a steel bracelet with prices starting at Euro 1,750 / US$ 1,780.